Bongo & B are the of live performance entertainment! All of the Bongo & B artists are exceptional in there musical craft! Leading with there amazing musicality, a great attitude, the showmanship and the will to go above and beyond for our clients and company, are the attributes we look for in a Bongo & B Live artist. Bongo & B prides itself on providing the best live entertainment Toronto has to offer. Our consultative approach and attention to detail is what has set us apart from all our competitors. As a musician and owner, adding a personal touch in today’s fast paced world of entertainment makes all the difference for us. We want to know our clients! Setting a real expectation of what it takes to have Live Entertainment results in an amazing experience and always leads to memorable, exceptional events! We make sure all of our clients expectations our met and exceeded so we can perform our 5-Star live entertainment experience! There are no second chances. This is the Bongo & B Experience! New ideas, new partnerships, and more clients looking for the next big thing. It was time to deliver on fresh ideas, showcases, and Live Entertainment. The end of 2016 saw new talent being brought on to our team as we were constantly expanding and having to elevate the entertainment industry. Taking it to the next level our 3-day video shoot was complete and executed with 4K video, and professionally mixed with high quality engineered sound. Expanding our services with new talent was a must and the need to offer our partners amazing Live Bands, Tribute Acts, World Renown Impersonators, and never before seen the talent was the right move for us and our partners. Having an amazing start to 2017, we are excited for what the future brings! 2016 was a fabulous year with the new addition of our Entertainment Consultant Chris Romano. One of the original drummers of Bongo & B Chris an Honours graduate of the Humber College Jazz program showed his passion, dedication and willingness to go above and beyond for our company and clients! It was an easy choice! His adaptable and fresh ideas has started a new wave of vision and growth! Cementing Relationships and aligning ourselves with the best in the industry proved to be the right move for Bongo & B Entertainment. The Industry was missing the Live component! 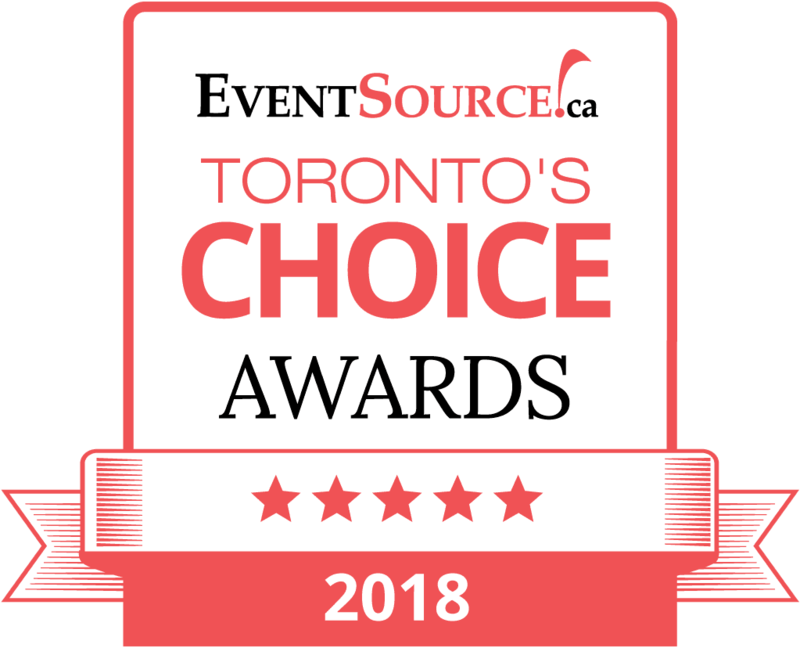 Partnering with amazing organizations such as byPeterandPauls, The Pegasus Group, S4 Audio Visual, The Digital Group, SoundX, Freeman Canada and many more proved that Live Entertainment was just as important as sound and lighting. Creating magic with the best Disc Jockey & Masters of Ceremonies along with the hard working “behind the scenes” AV technicians is what it takes to make an event extra special! The energy of our Afro Samba Drum & Dance spread quickly and the wave made its way to Ontario Place for Digital Dreams. This was by far the biggest crowd that the Bongo & B drummers and dancers had performed for. With over 30,000 plus in attendance, the show was a hit and we rocked the stage. We knew we were on the cusp of bringing the latest and greatest Entertainment to Toronto and the GTA, with people, were taking serious notice of our leading potential. This year saw the services of Live Entertainment expand to a full service one stop shop! Clients enjoyed having one provider for all their entertainment needs. With growth comes knowledge and understanding the technical requirements for these new acts was very important. Leveraging our industry partners knowledge was a tremendous help! Executing the technical requirements is just as important as the music. The end result when having this knowledge is a great sounding show! 2011 & 2012 brought the expansion of our Dance Floor Showcases! With Drummers trained, certified and ready to go! We were set! The services were expanding and we knew the power of the drum was attracting more and more inquiries. Harnessing the power of the drum would open more doors and our team expanded quickly into a full service one stop shop for Live Entertainment. As clients were inquiring about our drum services we soon knew they had a need for entertainment pertaining to Ceremony, Cocktail and the Dinner portion of the evening. We organically grew as the demand increased and Live Entertainment pertaining to the segments mentioned above were added. Violinist, Jazz Trio’s, Dance Ensembles, A La Carte Artists and more! As our Dance Floor Showcases grew in popularity so did the demand for our show from clients, venues, and DJ companies. We decided that we needed to expand the team! Our search was on and having been part of the Caribbean and West African drum community, we already had in mind the type of players that would be the right fit for our team. Explosive drummers, amazing performers, and all-around great percussionists were recruited to build this Drum family! Energy and a great attitude were a very important ingredient of what the family should consist of. Practices were scheduled weekly and we all worked very hard to achieve the Bongo & B standard of what a Dance Floor Opener should look and sound like!! The new Dance floor Opener! The new Drum and Dance show! Demand for fresh, new and exciting entertainment showcases expanded! The Afro Samba Drum & Dance was born. Spending several months on creating the right music mix, combined with drum & dance choreography, this new show was sure to entertain and get the dance floor started. With just the right amount of cultural rhythms, fresh new music, exciting beats, and amazing drum battles our incredible show was born. Bringing you to Brazil to create a carnival feel was our goal! The show had amazing feedback and incredible success! As the excitement grew from bride to business clients in the wedding and corporate industry, the word of mouth, performances, social media and strong presence in the nightlife industry opened up many opportunities for new unique and diverse Live Entertainment show cases. The requests from our corporate and wedding clients began to pour in and a new welcomed challenge started building todays 5 Star Live Entertainment Team! Having our finger on the pulse of the cities amazing Live Entertainment the team grew to bring on Violin duo/Trios, Jazz Trio’s, Samba Dancers, Electric Violinists, Artists Impersonators, Tap Dancers, Live Bands and the best percussionist / drummers the city had to offer. We believe in Organic growth and our top priority was making sure our Bongo & B Entertainment team held the same high standard it began with. The Bongo & B Live Entertainment wedding dance floor opening showcase grew quickly in popularity because of its amazing energy and strength. No one had seen anything like it. The amazing feedback was a big reason why we took the next step on this musical journey. The decision was made and in order to have this amazing drum performance reach the masses the company decided to join the The Canada’s Bridal Show at the Toronto Convention Centre. Our love and passion for music was now reaching the thousands of Brides and Grooms in attendance. We new we had something very special! The Idea of “Bongo and B Entertainment,” began from the many years of performances in Toronto’s Club scene. Using the Djembe drum as an overlay on top of the DJ’s melodic house music it was a fine line between hitting the drum and connecting with the music to make magic! Originating from the heart and soul of drumming with countless Drum Master workshops and lessons, learning the technique, culture, art form and beautiful West African, Caribbean and Afro-Cuban rhythms was a non-negotiable to do! This was the start of beautiful things to come. “The Dance Floor Opener”! Being a part of a Caribbean drum ensemble (Caribbean Folk Performers) helped build the foundation and fuel the desire to bring this Live Entertainment to many different people who had not yet experienced the magnetism and power of what a percussion instrument would do to guests and audiences on a dance floor! The Bongo & B show was created. It made many transformations and the final showcase was the right mix of cultural rhythms and mainstream electronic music mix. It takes you on a journey and creates the perfect energy climaxing to an incredible finish.